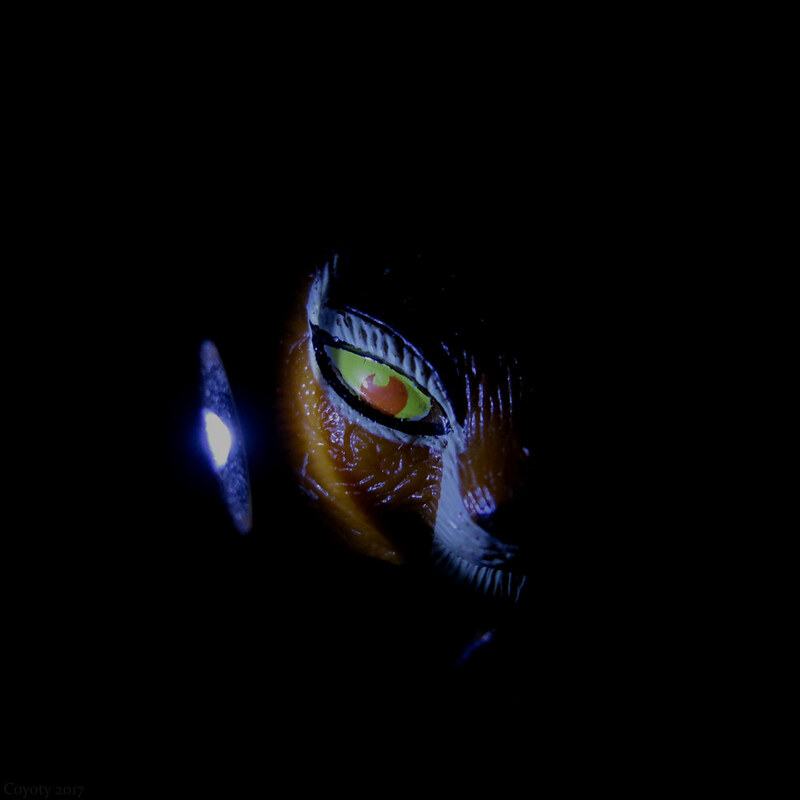 Most people would shine a flashlight under their chin when telling scary stories around a campfire, but Tigress thinks she looks spookier lit from the side. Technical notes: I lowered the contrast to reduce the glare and make her face look a little darker. She's holding the keychain flashlight herself in her right hand, which is steadier than me holding it and trying to take the photo with one hand. Well Next time use a real camp fire, Come to the tower site and I'll throw on a few Trees for better light..